The Perivale serviced offices in West London comprises of a total workspace of 22,700 sq ft (2,109 sq m). 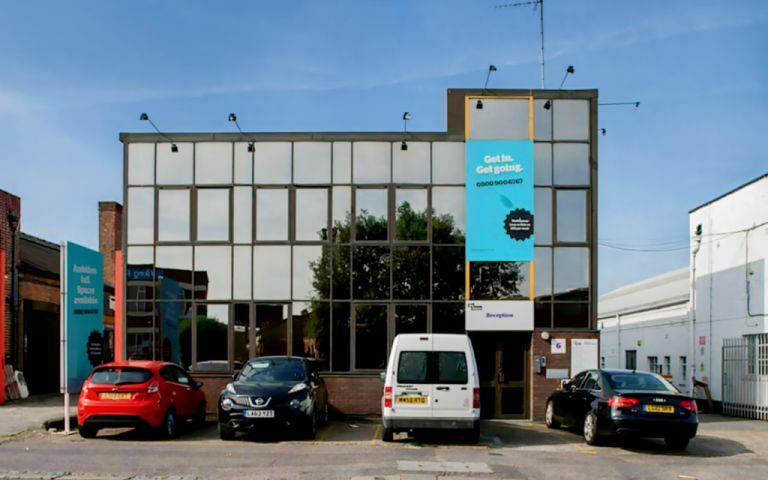 The business centre complex with its 41 business units, which range from 100 to 2,800 sq ft (9 to 260 sq m) offers flexible business space for companies seeking offices, workshops, studio space, light industrial units or storage premises in Perivale. A high quality meeting room is available to rent by the hour, half day or full day. Besides the serviced offices, Perivale Business Centre also offers a mailbox facility to companies who do not need an actual workspace in these quality business premises. This Perivale business centre provides flexible commercial space for rent in modern West London close to Ealing, Greenford and Hanger Lane. The Perivale serviced offices have excellent transport links nearby offering easy access to the rest of London and beyond. The business premises are located just two minutes from the main A40 providing easy access to West London, Oxford and Hanger Lane. The London Underground station of Perivale is an 8 minute walk and there is secure parking within the business centre for customers wishing to utilise these transport links.rnrnPlaces of interest near Perivale Business Centre include; Perivale Park, Perivale Wood and Perivale Golf Club whilst popular local attractions include Horsenden Hill, Willowtree Narrow Boat Trips and Church of St Mary The Virgin.rnrnShopping facilities close to the Bizspace Business Centre include a large Tesco in Perivale and the newly built Westfield Shopping Centre, in West London. The serviced office in Wembley is a newly refurbished and decorated business centre that provides the small business with very high quality office suites available for instant occupation. Easy Offices Where is the nearest coffee shop to Wadsworth Road? Easy Offices Where is the nearest place to get lunch near Wadsworth Road? Easy Offices Where is the nearest car park to Wadsworth Road? Easy Offices Where is the nearest public gym to Wadsworth Road?